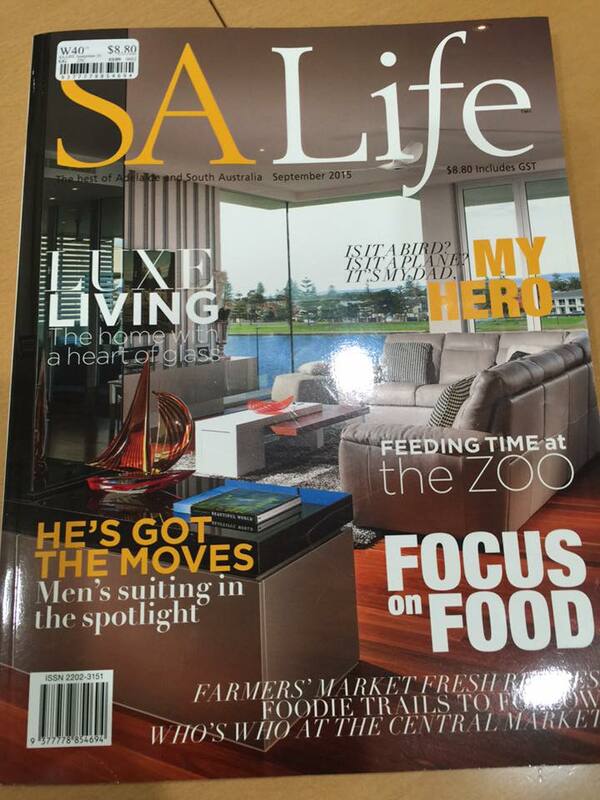 Was very excited to get a text message from a workmate last week saying: “Your photo is in the latest issue of SA Life! Page 44.” Lo and behold I went and bought myself a copy and found this! 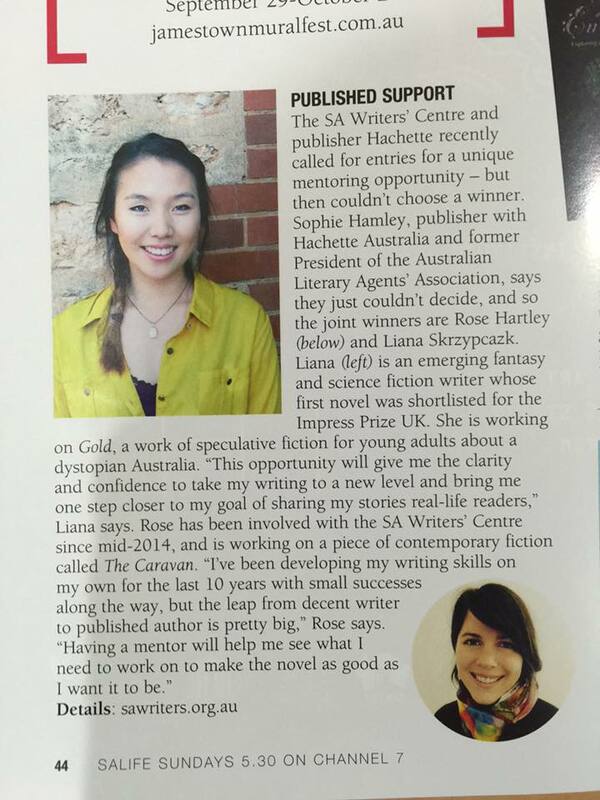 It’s an article about the South Australian Hachette mentoring program I received with in-house editor Sophie Hamley for my YA speculative fiction manuscript, Gold. A big thanks to Vanessa Jones at SA Writers Centre for making this happen. 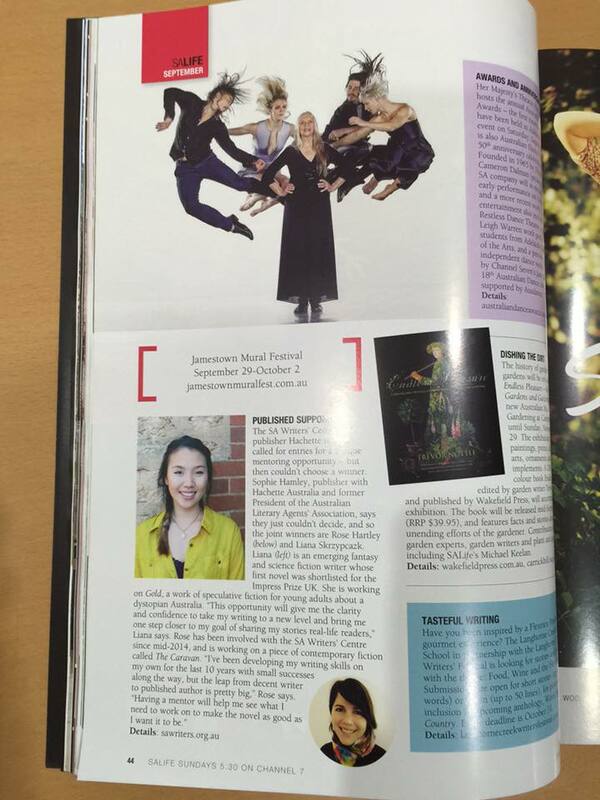 It’s lovely to get an acknowledgement in such a fancy magazine! I’m so stoked to be able to finally spill the beans. I’ve been chosen as a joint recipient of SA Writers Centre’s 2015 Hachette Mentoring Program alongside writer friend, Rose Hartley for my YA speculative fiction manuscript tentatively entitled Gold. Here’s what ran through my head after finding out the news. *See SA Writers Centre Press Release for full article. “When I found out I’d be commencing a mentorship with Sophie Hamley from Hachette, I spent a good hour just hyperventilating from excitement. It was clear that this could be the most important learning opportunity in my writing journey so far. To me, writing has always been a solitary process – highly creative, subjective, and extremely hard to contextualise within the realities of the publishing industry. Who’s my market audience? What’s my brand? These are not typically the questions running through my mind while I’m at home, alone, lost in a fantasy world, shooting my characters with ice arrows. But the more I’ve learnt about writing and reading, the more I’ve come to realise that craft and industry go hand-in-hand. Sometimes the difference between a highly ‘creative person’ and a ‘novelist’ can be the mere integration of these two skills. This is why the chance to work with an industry professional from an established brand with a target audience in mind will be invaluable to my learning. It will give me the clarity and confidence to take my writing to a new level and bring me one step closer to my goal of sharing my stories real-life readers.